The Australian Logistics Council (ALC) and the Australian Railway Association (ARA) have applauded the announcement that the Federal and Queensland Governments will fund a $1.5 million study that will examine ways to enhance freight rail connections to the Port of Brisbane. Improving these connections, including the establishment of a dedicated freight rail connection to the Port of Brisbane, will be critical to unlocking the full economic benefits of the Inland Rail project, which is now being constructed. These benefits will be examined at length as part of the Inland Rail Conference being jointly hosted by ALC and the ARA on 18-19 July 2018 in Parkes, NSW. The Port of Brisbane is a vital economic asset, not merely for Queensland but for the nation, particularly when it comes to agricultural and resource sector exports. Its importance will increase significantly in the years ahead, with international demand for Australian export products expected to rise. The economic significance of establishing a dedicated freight rail link to the port was recently reconfirmed by the decision of Infrastructure Australia (IA) to again include the project as a high priority initiative on the 2018 Infrastructure Priority List. A separate IA report on corridor protection released last year confirmed that potential savings of $66 million could be realised if governments act quickly to protect the corridor needed for the construction of a dedicated freight rail link from the Inland Rail at Acacia Ridge to the Port of Brisbane. These factors highlight just how critical it is for us to act now to ensure efficient freight rail linkages between the Inland Rail and other pieces of critical freight infrastructure, including ports and intermodal terminals at key strategic locations along the route. 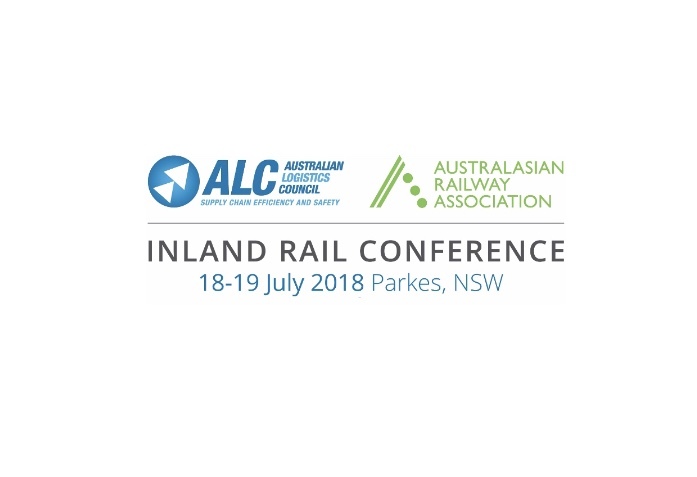 The Inland Rail Conference will be the first dedicated industry event exploring the opportunities and challenges presented by Inland Rail, and will draw together major political, industry and community leaders to discuss at length the potential benefits of this nationally significant project. Further details regarding the conference agenda will be available in the coming weeks.